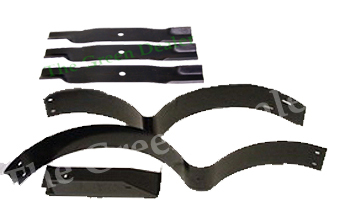 New 54" mulching kit from John Deere, that will fit the 7-Iron & 7-Iron II decks. The mulching attachment allows converting the mower so it can be used to mulch grass or leaves. Remember you will have to follow the 1/3rd rule. No more than 1/3 of the grass blade should be cut off at one time. This allows more efficient mulching and will promote the continued good health of the grass. If the desired cut height can't be achieved by cutting off 1/3, or there is clumping of the clippings, it may be required to cut higher; wait a day, then lower the mower and make a second pass. Mow at proper intervals approximately every 4 to 5 days. This kit also includes installation instructions. This kit does not fit any other 54" decks. 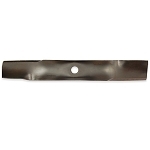 If you are unsure which deck you have on your mower email or call us so we can help you determine which deck you have. 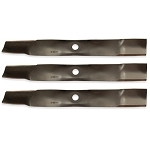 This 54" mulching kit is compatible on the following models with 54" 7 Iron & 7 Iron II Decks.